We are environmental design consultants, finding ways for buildings to tread more lightly on the planet. We’re also lighting designers who illuminate spaces with beauty and efficiency. And we are building services engineers. We know our way around all the elements that bring structures to life, from pipes to ducts to wires. On some projects we wear all three hats at once, sometimes just one or two. We help clients create smart buildings that work with the natural laws of physics. Buildings that lift the spirit and make people feel good. Buildings that give back to the wider environment and don’t waste energy or resources. On every project, we’re spurred by the challenge of doing more with less. Every day we explore what it means to make architecture part of the wider environmental system. A pretty big concept when you think about it. The integral nature of our work makes it invisible. So, at its most successful, it simply works. Our green credentials attract some clients like bees to honey. That doesn’t mean we only work with people with big budgets and big sustainability goals. 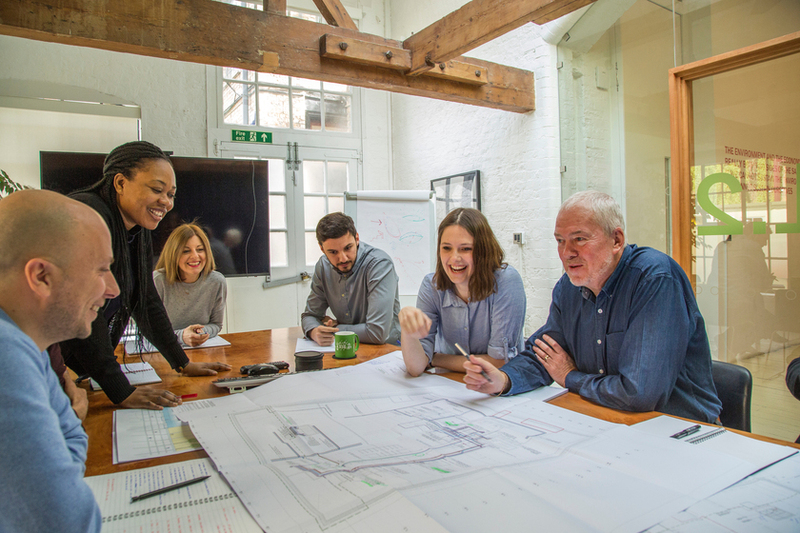 We’re always keen to get stuck into solving problems, whatever the scale – we simply find a way to best suit each client’s scope. Then we push ourselves to find solutions that go beyond what’s expected. And we push our clients (nicely) to think creatively about their challenges. We’re a safe pair of hands: you can rely on us to make beautiful, efficient buildings. And we’re shrewd operators. Exactly who you need at your side to navigate the maze of compliance, regulations, permissions, benchmarking, incentives and grants that accompanies any build.